AWE Newtech Ltd. provides machines with a roll dip process and a trickle impregnation process. Both are widely used around the world and have been in production for many years. The systems can be produced at any volume, from lab equipment to high output linear systems. 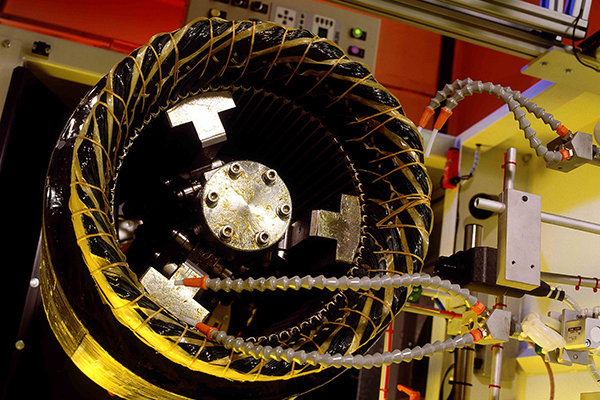 AWE Newtech has developed a process that produces the highest quality stator or rotor with energy savings that provide overall savings throughout the process. The AWE Newtech line of machines provides a solution that places the exact amount of resin for a completely bonded product and keeps the resin where it belongs. The systems use direct heating including resistance heating and infrared heating that yields energy savings that can be easily quantified. The systems use accurate controls to monitor the rise and sustain the cure temperature, all the while maintaining rotation for a superior final product. The state of the art controls can track every aspect of the process. The method has been tested and has proven to optimize the resin retained within the stator or rotor. 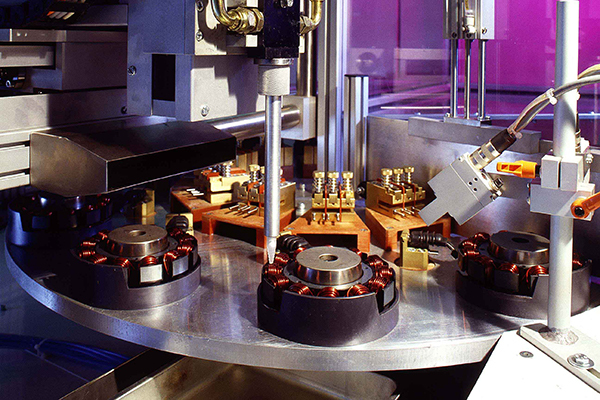 AWE Newtech Ltd. offers automatic and robotic systems for multiple processes. Dispensing equipment is produced for the automatic application of adhesives, sealants, gasketing materials, encapsulants and potting compounds. These systems are produced for repeatability and inherent control throughout the system. AWE Newtech Ltd. provides a solution for epoxy powder coating copper including hair pin applications. The systems use IR heating to preheat the copper and then use robotics to dip the product into the powder bath. The system then maintains the heat curve to cure the epoxy powder at a constant, developed process. The output is a repeatable and high quality product.